The global leader in flavour, McCormick, is celebrating their 125 years of history this year. The company’s heritage can be dated back to the 1880s and today it is still a leader in the world’s food industry. As an innovator in the food sector, McCormick always pays extra attention to investigate the new trend in flavour. While being a hard worker for their business, the company is also an active participant in the community. 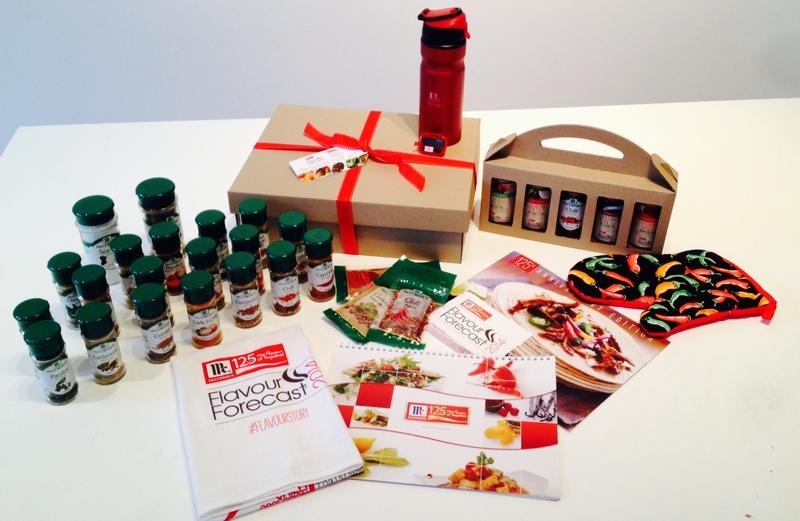 This year, along with the publication of “Flavour Forecast 2014” handbook, McCormick is taking part in the Flavour Together, a campaign for people to share their flavour stories. For every flavour story shared through their website, McCormick will donate $1 to United Way Worldwide to help those in need. Why not share one of your story and do a goodwill to help people from low socio-economic background to survive and experience flavours with us?! A flavour story is a story that could tell the tale of your prized (secret recipe) dish, a family heirloom recipe, or a memorable meal shared with a loved one. Or it could be your everyday pleaser, your go-to midweek meal. #flavourstory! However, Adelaidefoodies.com decided to take the step further. McCormick Australia has partnered with us to give our readers and facebook fans, who share their flavour stories, an opportunity to win 1 of 5 fantastic gift packs worth over $100 each to help you to create your very own flavour trial. Each prize pack includes the following items. I have 5 packs to give away. The value of each prize pack is over $100. 3. Comment below to let me know. The competition runs from 17 April 2014 until 29 April 2014 inclusive. Adelaidefoodies.com is giving away 5 Flavour Forecast Prize packs from McCormick Australia worth over AUD$100 each, to its readers and followers on facebook. 2. To enter, share a flavour story here and like both ADELAIDEFOODIES & McCormick Facebook Pages. 4. I have 5 McCormic Flavour Forecast Prize packs to giveaway, each containing the items listed in this post. If you are an active reader of Adelaidefoodies.com, why not test your Easter fortune now and do a good will for people in need! Happy Easter guys and more posts are coming! Stay tuned! Awesome! prize, thanks for the opportunity, Happy Easter. Shared the story and liked both pages. Happy Easter! Shared story and liked pages! What a wonderful cause to support!!! Already a liker of both pages. Shared my flavoursome story. Hope everyone’s enjoying Easter with their love ones! Shared and liked! Good luck! I have liked both ADELAIDEFOODIES & McCormick Facebook Pages. 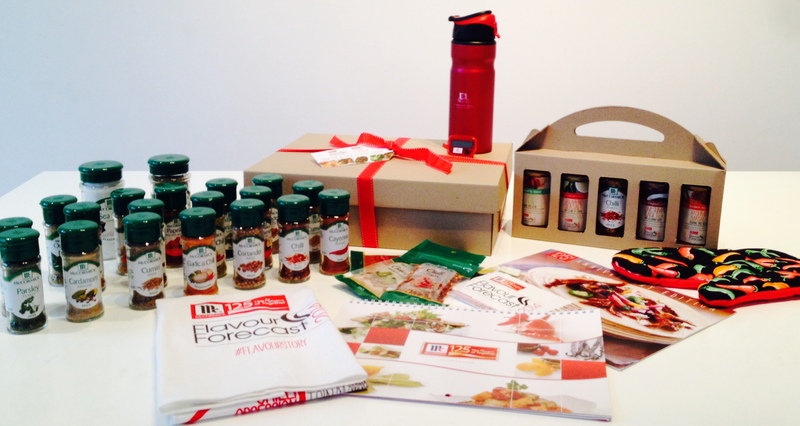 What a wonderful giveaway, will certainly ‘spice’ up those upcoming Winter months! Shared my story, and like those FB pages. Thanks, Done done and done ! great giveaway ! A fabulous prize for a wonderful cause, shared flavour story and liked both pages. Liked both pages and have shared my story. Will also share this comp on my Facebook page. Goodluck to everyone! Liked both pages and have shared my story. Good luck everyone! All done and dusted! This would be amazing to win!